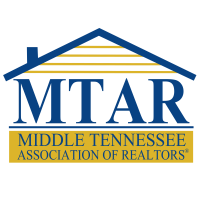 MTAR has not increased its dues for the past 10 years! Deadline for dues payment without late fee is January 15th, 4:30 pm. January 15th in order to avoid the late fee! From January 16th through January 30th 4:30 pm, dues payments will also include a $25 Late Fee. It is the responsibility of your local association (MTAR) to collect your dues for the State (TAR) and National (NAR) associations as well. 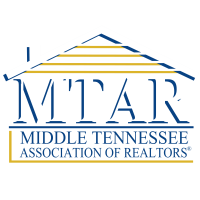 When you submit your membership dues, MTAR keeps only a portion. 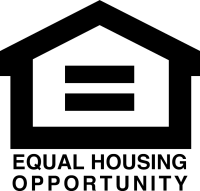 The remainder goes to fund TAR’s services, the TAR Issues Mobilization Fund, NAR’s Services, and the National Public Awareness Fund. In addition, each member is requested to invest in RPAC. For 2098, each member's fair share has been determined to be $25.00. Brokers, Board Members, and owner/operators of Appraisal Firms are requested to invest $100.00. RPAC is voluntary and is not a portion of membership dues, or a condition of membership. For 2019, with dues at $150 per member, NAR computes 38 percent or $57 to be nondeductible for the member's income tax purposes due to NAR lobbying efforts. Payment for your 2019 Renewing Membership may be made online at . This is the preferred method. 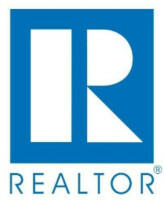 To do this, you must first have registered at NAR’s website. This site is 100% secure and offeres you the payment option of Visa, MasterCard, Discover, American Express, or Electronic Check. You will receive a receipt of you payment from the site (MTAR will also receive the receipt after you pay and the information will be entered into your records). Choose “sign in” at the top right of the screen. If you cannot remember your username, you can look it up using your NRDS number. If you cannot remember your password, it can be emailed to you by selecting that option. Choose “Pay Dues” in the upper right hand corner, second row. Choose “Pay My 2019 Invoice”. At this point, your 2019 renewing dues invoice will appear. The total will say $655.00. There is a $100.00 voluntary RPAC payment in this total. If you wish to change your investment, place your cursor inside the dolar amount field ($100.00) and change the amount to whatever you wish to invest. You can invest any amount you want and the invoice will adjust accordingly. The invoice amount cannot go below $555.00, as this is the minimum dues payment. Choose APPLY CHANGES. Choose “View Final Invoice & Disclaimer”(if you wish). Choose “Pay Invoice”and then continue to make payment. Either “Pay Now with Credit Card”or Electronic Check” (the Electronic Check option has been known to have issues). If you need help, please call MTAR at (615)893-2242 between 8:00am and 4:30pm, ask for Wayman. Please be at your computer, ready to make a payment, before doing so. Choose "Register" at the top of the screen, near the middle, next to SIGN IN. Answer the questions. Note: You will need your NRDS number. Select a username and choose a password. Choose a security question. Be sure to "Agree to the Terms". (The rest of the information regarding your business fields is not necessary to complete the registration process). You will receive a confirmation email containing a link to verify email address. You MUST click this link to complete registration and will be prompted to log in again. Payment for your 2019 Renewing Membership may be made by scanning and emailing the payment information to one of the MTAR staff members. Members should be aware that this form of payment is not as secure as the online options. In order to make a payment using this method, the member MUST request the invoice via email, complete the credit or debit card information (Visa, Discover, or MasterCard only), and then scan and email the complete information to MTAR. MTAR is requesting that you do NOT fax your payment (although the invoice says you can). This process can be slow, and in addition to not being a secure option, faxes may not be received, even if you receive conformation of transmission. For your convenience, faxing is a payment option, but it is not recommended. To request your invoice, click here. Please be mindful of MTAR’s office hours (Monday to Friday, 8:00am to 4:30pm). MTAR is open between the hours of 8:00am and 4:30pm, Monday – Friday, excluding holidays. The MTAR staff will print your invoice, process your payment, and make a copy for your records. Please be patient and considerate of other members who may need the staff’s assistance. Members should be aware of the policies regarding Payment Deadlines. To renew your membership to MTAR and avoid any late fees, full payment must be made on or before Tuesday, January 15th, 2019 by 4:30pm. Payments received after January 15th will be accessed a $25.00 late fee. This late fee will remain in effect for all payments received through January 30th, 2019, 4:30pm. All Renewing Dues payments received after January 30th, 2019 will be accessed a late fee of $100.00. Deadline for payment is January 15th, 2019, 4:30 pm. This represents when the payment must be received by MTAR. In the past, we have reviewed post office stamp dates to count as “on time” (meaning if it was postmarked on the 15th, but not received until the 20th, it was considered “on time”). We will no longer be doing this. Payment must be RECEIVED by MTAR on January 15th, 2019, 4:30 pm to be on time. A $25.00 late fee will be added to payments received after January 15th, 2019, 4:30 pm through January 30th, 4:30 pm. A $100.00 reapplication fee will be added on all payments received after January 30th, 2019, 4:30 pm.